A random HTC device stopped by the FCC today, looking all sorts of ready for Verizon. To be honest, though, I have no idea what this phone is. 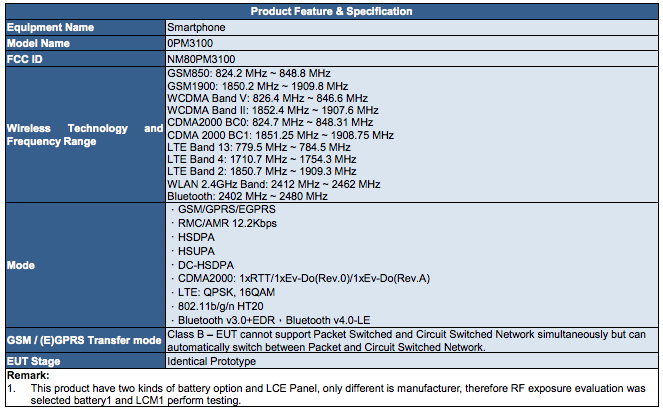 The FCC (ID: NM80PM3100) calls it a “smartphone” and says that it has support for all of Verizon’s typical CDMA and LTE bands, along with a couple of GSM bands for global roaming, but those are the only details we have. Could this be the One M9+ on its way to the US? Eh, maybe. Is it another budget HTC device, like the Desire 612? Could be that too. Is this something completely new from HTC that we haven’t even been tipped to? That would be something. 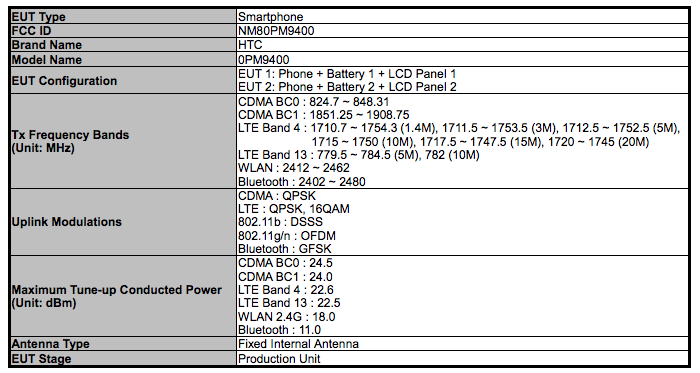 Below, you will see a table from the filing that lists out the fact that this is a smartphone, but it also walks through the bands. One interesting note in the “Remark” section mentions that this phone has “two kinds of battery option” and maybe even two types of LCD panels from two different manufacturers. Because of that, the FCC had to do extra testing for each battery and LCD, making this filing quite the long read. It does sound like this phone will have a removable back cover. 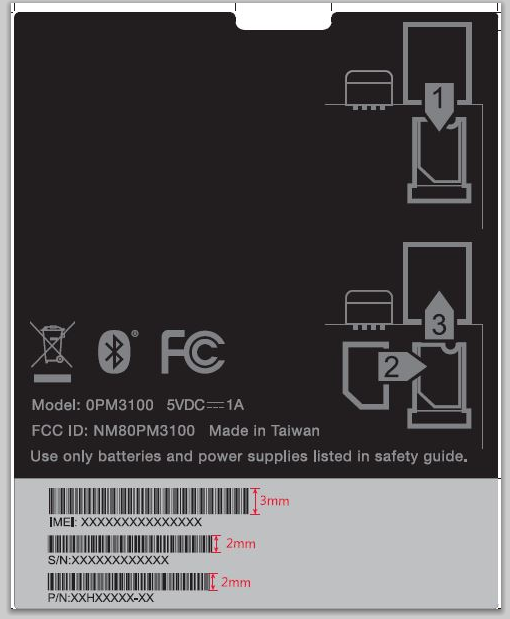 The label location page shows that the FCC label, which is located on the battery, will be visible to users as they install the SIM card. 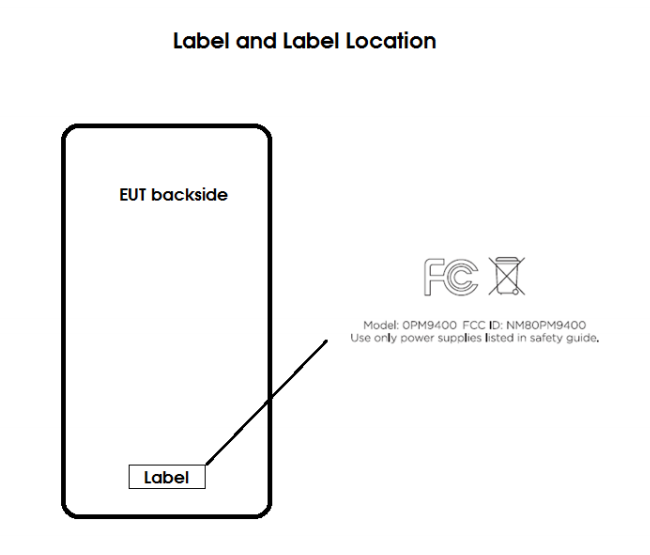 I can’t think of another way that a giant FCC label on a battery would be visible unless the cover is removed. So now you have to wonder if that also means removable battery, especially with the FCC needing to test a couple of battery types. Any guesses as to what this phone may be? Anything we are missing in the filing? Update: A couple of readers noticed that this phone doesn’t support 802.11ac WiFi, which means it is more than likely a budget handset. 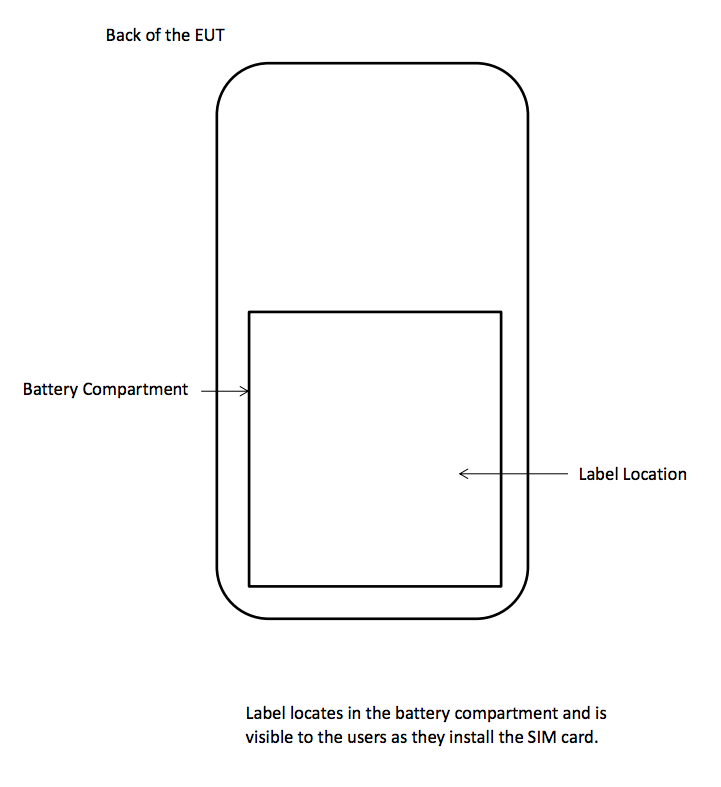 Update 2: We found another mystery HTC device that ran through the FCC (ID: NM80PM9400) today on its way to Verizon. This one might also be a budget phone. We aren’t seeing GSM global support at all here or 802.11ac WiFi. I can’t see a flagship Verizon phone missing either of those.